Rails Rock Districts; Qualify to State Meet! Districts. 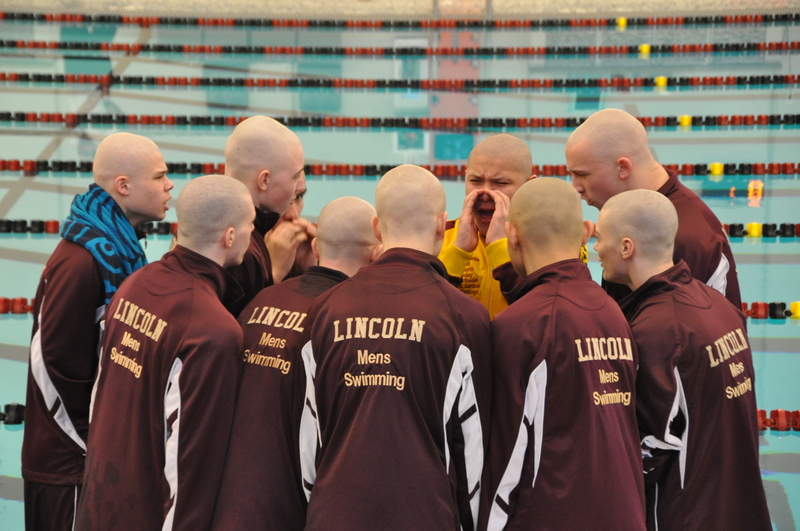 The meet where the chance to swim at State is on the line. The culmination of the entire season. Saturday, Feb. 3, teams across the state were racing at six district sites to compete for 24 state spots in each event. The Rails earned spots in the 50 Free, 100 Fly, 200 Free Relay, 100 Back and 400 Relay! The meet started off great with a season-best time in the medley relay. From there, the guys saw 100% time drops, which testament to their off-season work and in-season training. The guys set six new Top 5 All-Time records, including three new school records. And in the deepest district in the state, they still appeared on the podium five times. Gabe McCollough moved up to 11th overall with a 5:18.83! Miguel Espinoza finished 12th with a 5:19.24! 400 Free Relay (Klocke, Clark, Bennett, Santiago) raced to 4th overall and broke the school record with their 3:19.49! Here’s some photos rom the meet. You can check the photo website for over 500 more photos.